Meet our incredible variety entertainers! More entertainers means more fun! 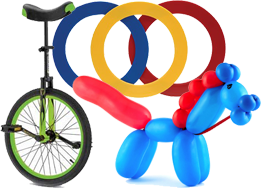 We have a premium selection of jugglers, magicians, caricature artists, balloon artists, and “tatoo” artists that are ready to make your event fantastic!